Located in the former Montgomery Ward Headquarters, this residence for an art gallery owner and family was designed to function as private space as well as public art gallery. 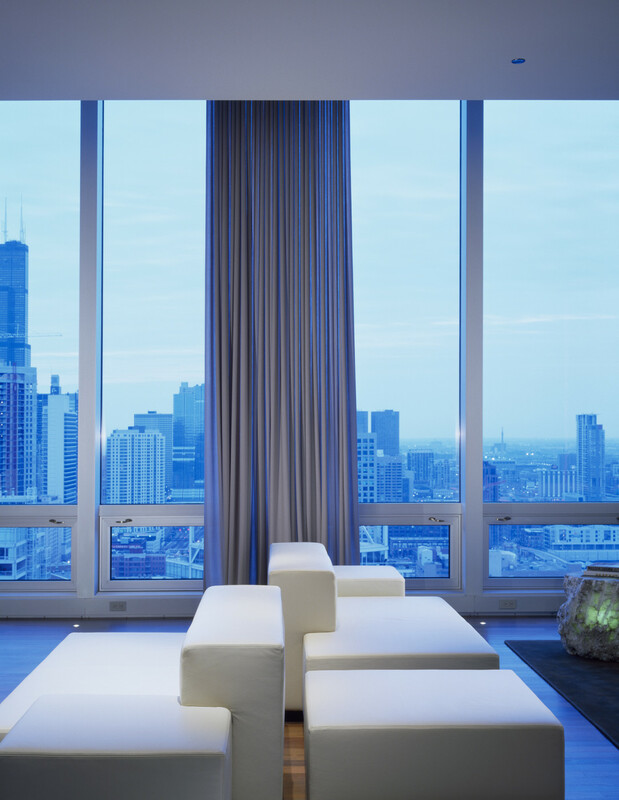 The residence occupies the southeast corner of the original penthouse floor with extensive views south towards the city skyline and east towards the John Hancock Center. 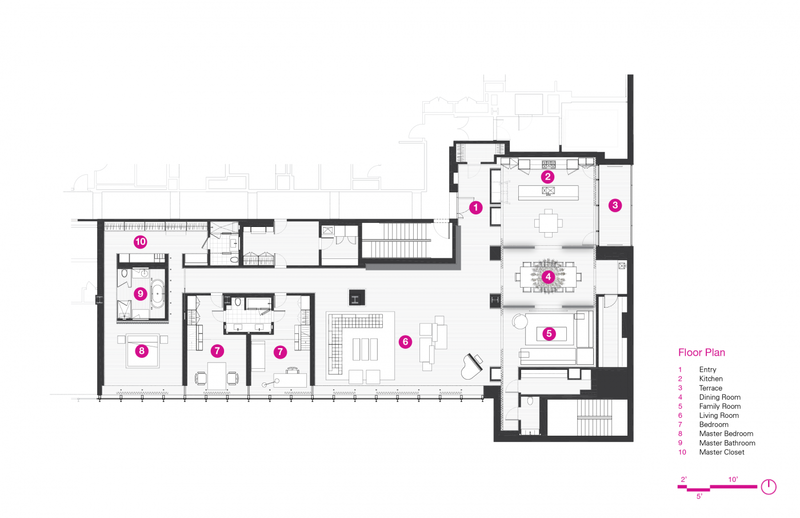 The L-shaped plan contains public spaces that vary in scale and transformable levels of intimacy. 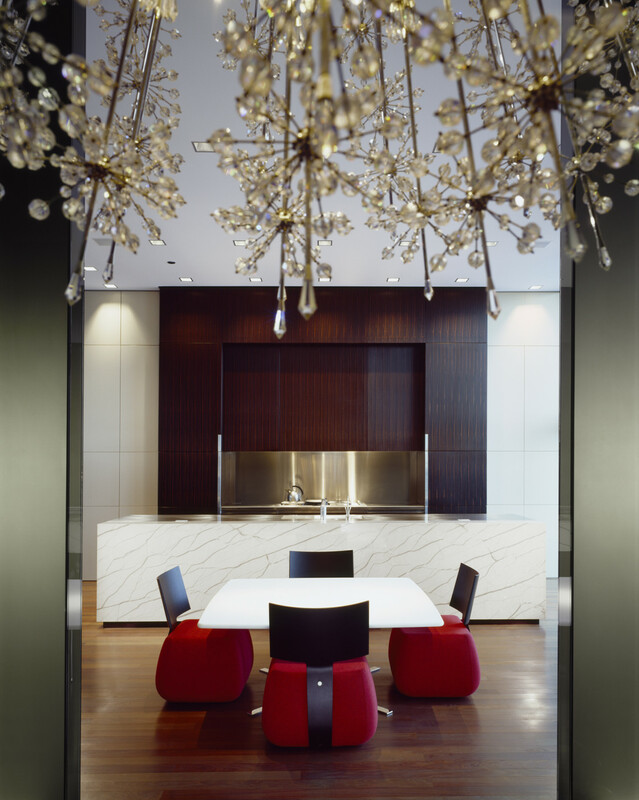 One side is articulated with the smaller scale kitchen, dining room and sitting/media room; these spaces share an axis and connecting views. 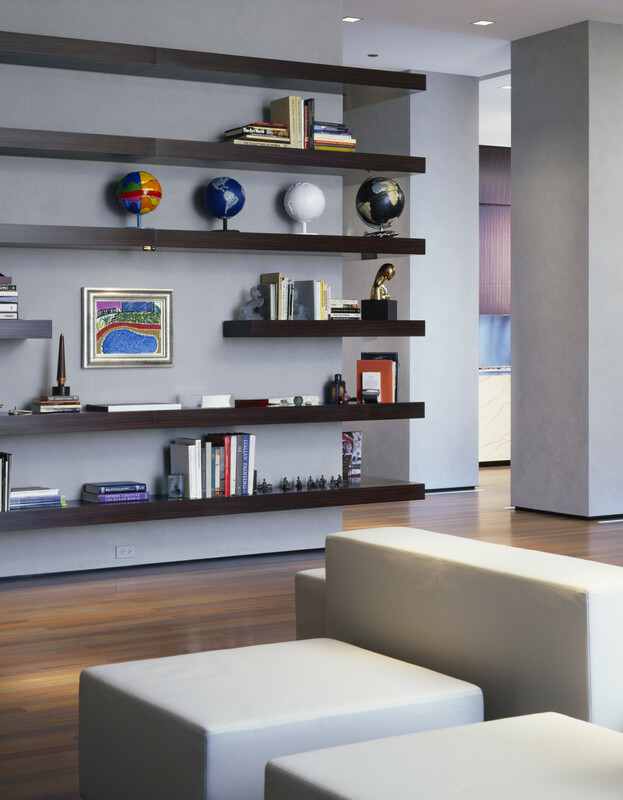 The other side is occupied by a contrasting larger scale open living room. The spaces can be further enclosed/separated by a series of full-height draperies. 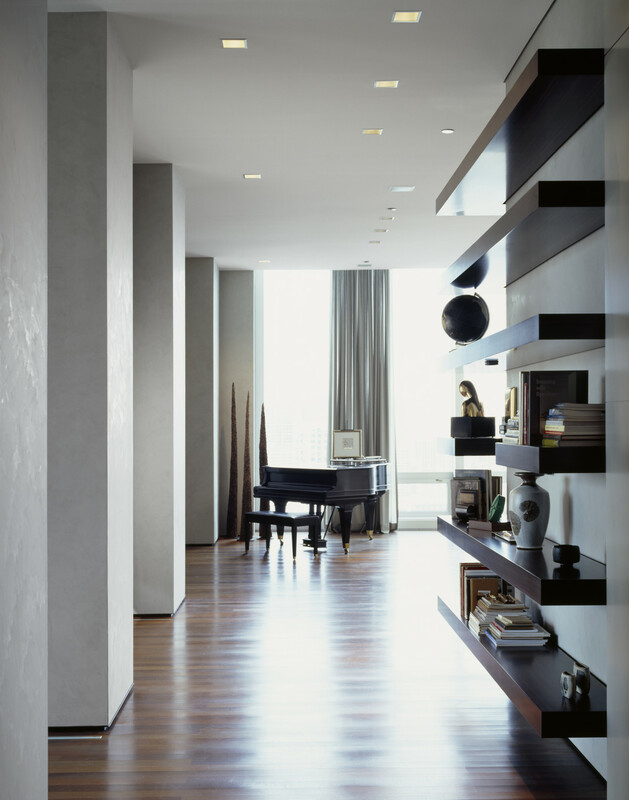 The scale of spaces is not immediately revealed upon entering the residence; ebony wall shelves in the entry turn the corner and lead one into the living room. 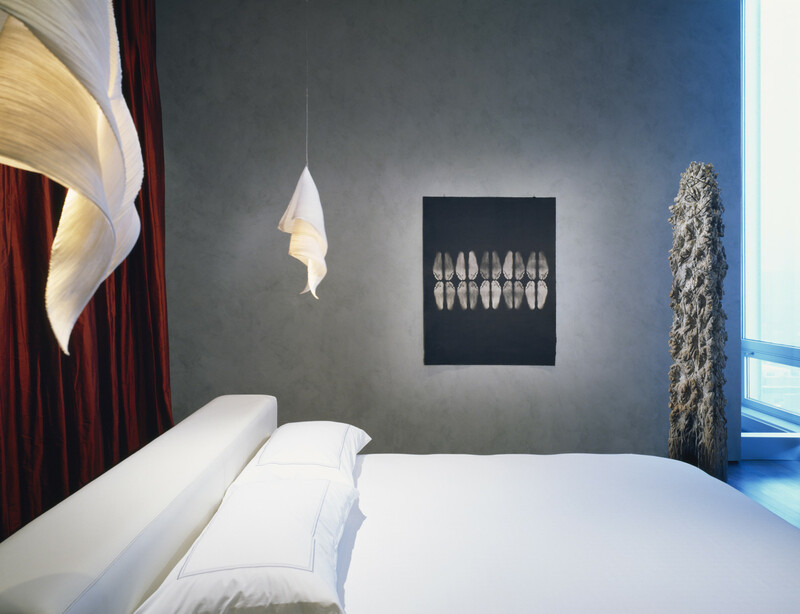 At the far end of the living room, a site specific sculpture of red glass block and stainless steel by Jaume Plensa, anchors the corner of the living room.